Did you know that your child could lose up to three months of reading and math skills during summer vacation? Teachers call it the “summer slide,” and it affects children as young as kindergarten. When kids fall out of the learning habit during the summer months, they can forget some of what they’ve learned and be at a disadvantage when school starts in the fall. Reinforce the joy of learning. Let your children self-select which book they’d like to read or activity they’d like to work on, then monitor their progress and reward their efforts. But instead of material rewards, offer what kids need and want most—time with you and an experience. For example, after they’ve completed their weekly tasks, make the reward a special trip to a park or museum, zoo, or nature center—any outing you know they’d enjoy or exploration of a subject they are passionate about, such as cooking or gardening. Summer is a great time to build upon emerging interests, and most children are intrigued by some aspect of nature or science. Build on established routines. Your children are used to routines during the school year, so why not extend some of these practices in the summer? The key is providing a balance and keeping kids engaged. Reading aloud every night at bedtime is a keeper, as is packing magazines, books, and workbooks to keep kids busy (and happy) on road trips. Drive time is prime time for connecting, so use it to talk about what your child is learning—ask about what he finds easy and what he finds a bit more challenging. Then you can focus on the latter. Extend the experience. Make summer learning a social activity, not a solo activity. 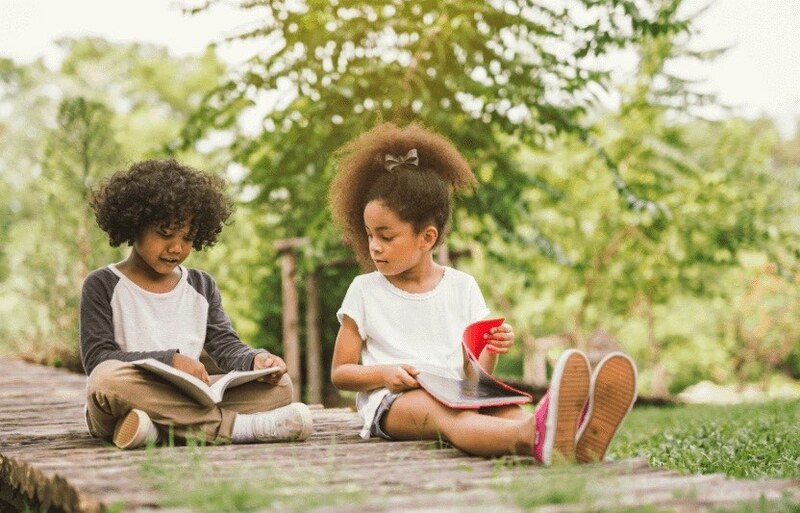 Take regular trips to the library or bookstore as a family, attend a children’s book author reading, spend time reading and learning together when relaxing by the pool or lake, or after a picnic in the park. Play with words that are specific to your surroundings. Talk about the sounds words start with, name other words that start with the same sounds, and have fun with rhyming words. Keep the focus on activity-based learning. Kids learn through play and exploration, so take advantage of the season and embrace the learning that’s all around you. The following products are just what your rising first-grader needs to prevent summer learning loss and start the year with the skills to have a successful school year. Each book supports your child’s learning journey in a unique way. For practice in upper- and lower-case letter recognition and simple sentence structure, Let’s Write Letters, a write-on, wipe-off book, is a perfect place to start. Its writing activities and puzzles increase writing confidence and build fine motor skills. If your child needs extra help in number identification and counting, the Learning Numbers Learn on the Go Practice Pads are filled with puzzles, mazes, and activities that focus on the numbers 1–20. The Summer Big Fun Workbook combines all the different skill sets needed to prevent summer learning loss from kindergarten to first grade. Filled with teacher-approved brain-building puzzles, mazes, and jokes, each workbook chapter is designed to provide practice in language arts, math, and more. Encourage your child to use the emoji stickers to map his summer learning adventure on the Hidden Picturesprogress poster. The four books below can help your child keep skills sharp this summer and start second grade ready for new challenges. Depending on where your child is on his learning journey, these books can be used in different ways. To practice writing and recognizing sight words, Let’s Write Words is what your rising second-grader needs. Filled with activities and puzzles to boost writing confidence, your child will also be building fine motor skills with each activity. Give your budding learner practice in all things math with Mathmania. The puzzles and engaging activities in this math book club reinforce key math concepts and problem-solving skills. For reading help, subscribe to Highlights magazine—filled with stories, poems, riddles, and puzzles for a variety of reading levels and interests. The Summer Big Fun Workbook combines all the different skill sets needed to prevent summer learning loss from first to second grade. Filled with teacher-approved brain-building puzzles, mazes, and jokes, each chapter provides practice in language arts, math, and more. Encourage your child to use the emoji stickers to map his summer learning adventure on the Hidden Pictures progress poster.